I’ve been cheated on. I’ve been lied to. I’ve gone to work with my slippers on. I’ve been kissed by people I loved. I’ve eaten so much that I could not move. I’ve read a book in a day. I’ve written stories and poems and love songs. I’ve danced until 3am. I’ve climbed a mountain in the pouring rain. I’ve taken people for granted. I’ve unpacked many dishwashers and taken out thousands of rubbish bins. I’ve cut pizza and answered telephones and told people where their tickets say to sit. I've blown out many birthday candles. I’ve loved with my whole heart. I’ve bought people drinks. I’ve put contacts in almost every day of my life since 2009. I’ve done tequila shots. I’ve bounced on trampolines. I’ve sprained my ankle. I’ve lost rings and watches and clothes. I’ve made my bed, even though I think it’s pointless. I’ve spent too much money on shoes. I’ve won tennis matches and netball games and pretty much always lost in water polo. I’ve spent way too much time looking on Facebook like it’s the morning newspaper. I’ve lost best friends. I’ve said goodbye to people I love, and hated it. I’ve cuddled cats and taken dogs for walks. I’ve blasted music so loud I couldn’t hear anything else. I’ve watched Friends so many times I’ve lost count. I’ve laughed until I couldn’t breathe. I’ve missed buses and been afraid of doors shutting on trains. 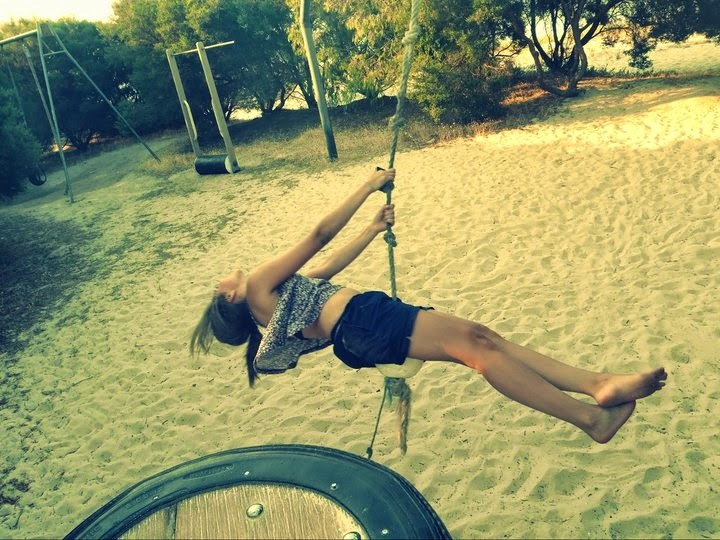 I’ve jumped on a Tarzan swing and flown a flying fox. I’ve set off my own house alarm. I’ve tripped over in front of people. I’ve laughed at other people tripping over. I’ve learned to play guitar. I’ve fought with my mother, and my father, and my sister. I’ve told them I love them. I've broken nails. I’ve dyed my hair. I’ve made scrapbooks. I’ve swum like a mermaid. I’ve jumped off jetties. I’ve touched a dolphin. I’ve slapped people in the face. I’ve been in caves and trekked under Australian sun. I’ve worn too many rings. I’ve been stung by bees. I’ve sent people letters in the mail. I've built a walkway for Malaysian kids. I've raised money for good causes. I've cycled in bike events. I've painted a wall. I've climbed trees. I've played hide and seek and duck duck goose. I’ve done assignments the night before they were due. I’ve failed at lots of things. I’ve succeeded at lots of things, too. I’ve cried. I’ve smiled. I've lived. All in this crazy little thing we call life. Siesta Park Holiday Resort, Busselton. 2011. Tarzan swing.